There is something deliciously surprising about Mumford & Sons. It’s not just that Dickensian name, neither is it their joyously irreverent attitude towards the superstar status accompanying their rise to the top. Perhaps it’s the fact that their first two albums, with a third imminent, have embraced an independent folk rock rootsiness that once allied to stage performances. At once both stirring and cathartic, has swept away doubt and built the foundations for a following that appreciate their honest endeavour. These gentlemen of the road can’t be naysaid. Sigh No More, Babel and the eagerly anticipated Wilder Mind – recorded for Island and the influential and highly respected label Glassnote (also home to other prestigious acts such as Phoenix, Childish Gambino and Two Door Cinema Club) are chart crashers on a global scale. Mumford has gone from being members of a tight-knit if disparate West London scene to flag bearers of British folk rock in the 21st century. People part with their hard earned for their music because it’s worth the investment – no fashion statement is implied but a good time good old school with modern twists experience is guaranteed. Millions of sales attest to their appeal and we are delighted to revisit their recordings to date, including two live discs. In addition you may choose to track down a slew of EPs, singles and videos, whose sum total enriches their catalogue of Gold and Platinum sales. For good measure they’ve been recognised for their work, winning various Aria, Billboard Music, Brit, Echo, Ivor Novello and Juno Awards. Perhaps the icing on that cake would be their Grammy Awards for Babel (Album of the Year 2013 and for Big Easy Express (Best Long Form Music Video). Grist to the mill maybe but evidence that those in the know have seen a group who want to be in it for the long haul. Marcus Mumford, Ben Lovett, Winston Marshall and Ted Dwane – a heady mixture of Anglo-American Welsh and London ancestry – are multi-instrumentalists who came together circa mid-2007 and became part of a flourishing alternative folk scene including Laura Marling, Johnny Flynn and Noah and the Whale. Combining a love for folk and country-tinged rock with an ability to swap around on the stringed, percussive and keyboard family of instruments they encouraged an atmosphere of non-exclusivity that won them a rapidly increasing fan base. Their progress from small rooms to clubs to theatres to arenas and stadiums has therefore been quite logical. In June 2008 they appeared at Glastonbury and laid down a marker that enabled them to finally put that talent to use on a self-titled EP and the more widely available Love Your Ground, including the radio smash “Little Lion Man”, a punchy slice of self-examination that while deeply personal to Mumford himself struck a chord with audiences and listeners alike. 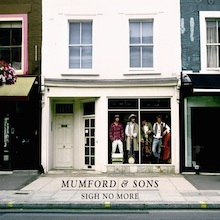 The debut studio album, Sigh No More, was released in Autumn 2008 with Markus Dravis (Arcade Fire, Florence and The Machine, Coldplay, Björk, Brian Eno et al) at the controls. A splendid mélange of acrostic and electric playing with dobro, banjo, mandolin, strings and horn parts, Sigh No More will eventually go 5xPlatinum in the UK, 3xPlatinum in the US and replicate most of that success in Australia, Canada, New Zealand and Europe. Available in Standard and Limited Deluxe editions (the latter including extra studio cut “Hold On to What You Believe” and a Live at Shepherds Bush Empire concert) the album borrows both title and a few key lyrical lines from Shakespeare’s Much Ado About Nothing – fair enough since the play deals with broad comedy and matters of honesty and honour. If nobility is afoot then the songs are the thing: “The Cave”, “Winter Winds”, “Dust Bowl Dance” and “Roll Away Your Stone” (which begins with a traditional Irish jig) are the stuff of definitive performances that will become instant live favourites. In certain cases however the press were a step behind the main event and it took a while for the penny to drop. Whatever, if it was a slow burner in critical circles it was the opposite in the market place. Hugely uplifting sounds and grand storytelling lyrics are in evidence and if the rowdy passion of their live sets is held back in the mix that is surely a good thing since it gives us the chance to hear Mumford as they come in. 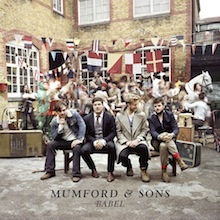 With the debut still shifting record numbers in hard form and digitally Mumford & Sons kept everyone on tenterhooks for 30 months as they road-tested what will be Babel (2012). The twelve tracks here maintain the approach of Sigh No More but evince a more polished sound with Dravis upping their chops and ensuring that he attains the perfect blend of acoustic and electric sound. Well received in America, where recognition of the new found subtlety and feel good factor simply fit the bill, Babel is an album that improves with every spin. The title track, “Whispers in the Dark” and “I Will wait” are obvious highlights while “Holland Road” and “Below My Feet” have moodier atmospheric elements. Again the Deluxe edition is recommended (including a version of “The Boxer” with ace musician Jerry Douglas and Paul Simon on board) and lovers of Mumford’s four way vocal harmonies will find plenty else to rejoice in here. Suffice to note the disc went straight to the top of the UK and US charts and stayed around without outlasting its welcome. To say it has done well for the band is an understatement. A solid Award winner it is also in Q Magazine’s list of the 50 Greatest Albums of 2102. Now for Wilder Mind, which promises a whole new approach. According to Ted Dwane he arrived in the studio to find banks of synthesisers. Word is that Mumford & Sons have mostly removed their signature elements – banjo, acoustic strumming, stomping kick drum – and replaced them with U2-sized guitars, synths, spacey mellotrons and even some drum machines. "We felt that doing the same thing, or the same instrumentation again, just wasn’t for us," says front man Marcus Mumford. "We’ve got a broader taste in music than just that." Adds Dwane, "None of us had really any interest in doing a sort of Babel 2. It was always going to be different." Lyrically the workload is shared out with a lot of personal experience based around relationship break-ups informing new cuts like “Believe” and “Only Love” while new producer James Ford (Arctic Monkeys and Haim) brings a new sonic style to the table. “Believe” is a significant departure. The alternative electric sound, influenced by peers The National, whose Aaron Dessner helps out with arrangement, finds Winston Marshall forsaking the banjo for a ripping guitar line that heralds a stadium-rock flavor backed by zingy synths. We’re also grooving out on the opener, “Tompkins Square Park”, the mesmeric “Broad-Shouldered Beasts”, the weird “Just Smoke” and the fantastically structured “Hot Gates”, easily one of the Mumford collective’s finest five minutes. Look out for deluxe edition where four live cuts beef up the main event. 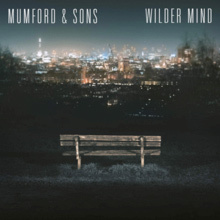 A hip, four to the floor disc with a whiff of early Fleetwood Mac in the mood, Wilder Mind sounds like one of the best discs of the year already. With a headline summer festival spree taking them from New Jersey to Aviemore and Walla Walla, Washington to Salida, Colorado large crowds will experience the new music first hand. Roll on May 4th. Chapter 3 of the Mumford & Sons adventure is about to begin. English folk outfit Mumford & Sons' full-length debut owes more than a cursory nod to bands like the Waterboys, the Pogues, and The Men They Couldn’t Hang. The group's heady blend of biblical imagery, pastoral introspection, and raucous, pub-soaked heartache may be earnest to a fault, but when the wildly imperfect Sigh No More is firing on all cylinders, as is the case with stand-out cuts like "The Cave," "Winter Winds," and "Little Lion Man," it’s hard not to get swept up in the rapture. Like their London underground folk scene contemporaries Noah & the Whale, Johnny Flynn, and Laura Marling, Mumford & Sons' take on British folk is far from traditional. There's a deep vein of 21st century Americana that runs through the album, suggesting a healthy diet of Fleet Foxes, Arcade Fire, Sufjan Stevens, Blitzen Trapper, and Marah. That melding of styles, along with some solid knob-twiddling from Arcade Fire/Coldplay producer Markus Dravs, helps to keep the record from completely sinking into the quicksand of its myriad slow numbers -- tracks like "I Gave You All," "Thistle & Weeds," and "After the Storm" are pretty and plain enough, but they neuter a band this spirited. Sigh No More is an impressive debut, but one that impresses more for its promise of the future than it does its wildly inconsistent place in the present. English folk revivalists Mumford & Sons' 2009 debut, Sigh No More, boarded the slowest train it could find on its journey from regional gem to pleasantly surprising, international success story. After simmering and stewing throughout the U.K. and Europe, the band landed boots first at the Staples Center for a rousing performance at the 2011 Grammy Awards that found the smartly dressed quartet tearing through "The Cave," and then backing, along with the equally snappy Avett Brothers, Bob Dylan on a generation-spanning rendition of "Maggie's Farm" that provided one of the better Grammy moments of the last decade or so. They may lack the lyrical prowess of "The Bard," but they know how to turn a phrase, plant a seed, and build a bridge and tear it back down again without losing the audience in the process. Simply put, they can bend the relative simplicity of traditional folk music to their collective wills, which is exactly what they do on their sophomore outing, Babel. It's also exactly what they did on their debut, and short of being a little rowdier and raspier, Babel feels less like a legitimate sequel and more like an expanded edition of the former. Working once again with producer Markus Dravs, who helmed Arcade Fire's Grammy-winning opus The Suburbs, the Mumford boys have crafted another set of incredibly spirited songs that bark much louder than they bite. Ballsy, pained, fiery, and fraught with near constant references to sin, salvation, and all of the pontifical hopes and doubts that lie between, most of Babel is caught between the confessional and an apocalyptic hootenanny, delivering its everyman message with the kind of calculated spiritual fervor that comes from having to adapt to the festival masses as opposed to the smaller club crowds. Tracks like "Hopeless Wanderer," "Broken Crown," and the vivacious title cut bristle with moxie and self-importance, but feel like a ruse, aiming for the parking lot with the kind of generic, turgid melodrama that always overshoots its mark, leaving another smoky hole in an already pockmarked landscape. It's a shame because there's some potential here, especially when the group eases back on the Me Street Band histrionics. Two albums in and Mumford & Sons still sound like a band fused to the starting block, paralyzed by the thought of having to truly race for their lives. 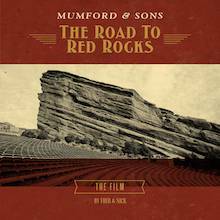 With just two studio albums under their belts, it’s an awfully impressive feat that Mumford & Sons can command an audience as big as the one that showed up at their 2012 stop at Colorado’s legendary Red Rocks amphitheater, but as evidenced by their 2011 Grammy awards performance, they manage to bring the same amount of energy to the stage as they do to the studio. They’ve been going at a steady clip since the release of their sophomore outing, Babel, which divided critics, yet managed to debut at the number one spot on both the U.K. and U.S. album charts. That a group specializing in a English folk could turn the heads of so many Yanks would be more surprising if their music wasn't also steeped in American bluegrass (almost every one of their songs eventually descends into an easy-to-clap-to hoedown) and this handsome little souvenir offers up a nice snapshot of their unexpected international dominion. Recorded live over two nights in 2012 during the folk-rockers' highly successful Gentlemen of the Road tour, this special collectors box, which is really more of a fancy, hardcover CD book, includes both the audio version and the DVD of the Road to Red Rocks film/documentary, the deluxe edition of the Markus Dravs-produced Babel, a classy collection of photographs that chronicles both the Red Rock show and the more intimate Gentlemen of the Road stopovers, the usual liner notes, and various other Mumford-inspired snacks, resulting in a truly "Deluxe" version of one of 2012's most financially successful releases. Who could blame Mumford & Sons for running away from their signature banjo stomp? Come 2015, when Wilder Mind saw spring release, so many bands had copped their big-footed folk jamboree that Mumford & Sons could feel the straitjacket constricting, so it's not a surprise that the group decided to try on something new. A change in fashion isn't strange -- no band wants to be pigeonholed -- but the odd thing about Wilder Mind is now that everybody else sounds like Mumford & Sons, Mumford & Sons decide to sound like everybody else. Without their old-timey affectations, the band seems interchangeable with any number of blandly attractive AAA rockers, a group that favors sound over song -- a curious switch for a purportedly old-fashioned quartet. Sometimes, the band do swing for arena-filling hooks and connect -- the quietly escalating "Believe," the incessant surge of "The Wolf," "Ditmas," which is the only song here that would scale to bare-bones acoustic arrangements -- but usually they subsist on a simmer, letting their immaculate, tasteful rock bubble quietly without ever threatening to spill over the edge. Often, the persistent, moody murmur recalls a diluted Kings of Leon, a comparison that can't help but underscore how Mumford & Sons have made the journey from retro throwback to glistening modern construction. Where once they carved their music out of reclaimed wood, they're now all steel and glass -- a bit sleeker but also a bit chillier. Such a description suggests this is a big shift, but it's all surface: underneath that exterior, Wilder Mind is the same Mumford & Sons, peddling reasonably handsome reconstructions of times gone by.